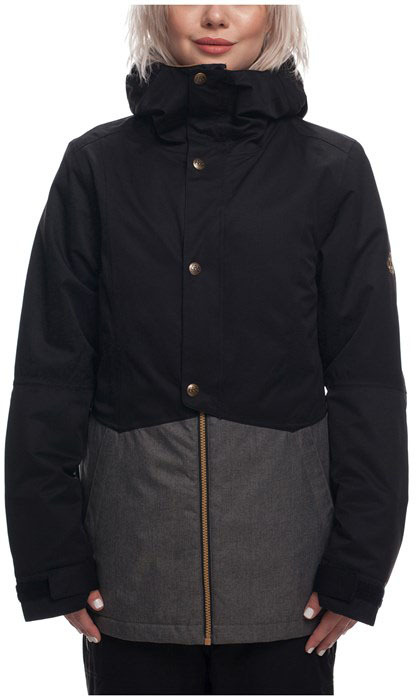 The 686 Rumor Insulated Jacket has a nice clean look with stylish features. The Rumor would be good for someone who rides in some cold temperatures but doesn’t like to go out on the crazy storm days. It has ample insulation throughout the whole jacket and some fun features like the sherpa lining or the snapping flap in the front. If you are on a budget but need a warm good looking jacket this could be a good option for you. We try to get as many images of the 686 Rumor Insulated, but forgive us if they're not all there.